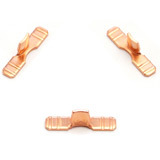 These copper contacts are used in the electrical industry. We began by designing and building a custom stamping tool specifically for this project. 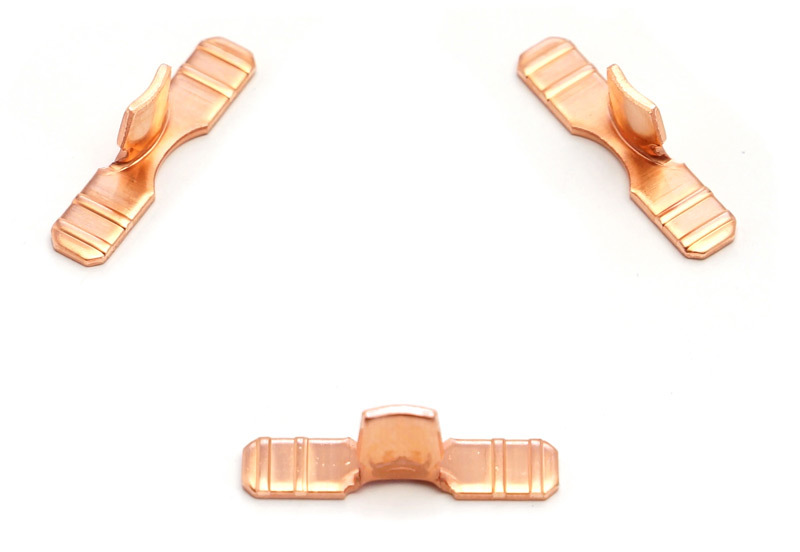 Utilizing a 30-ton Bruderer press, we stamped the copper contacts at an impressive rate of 400 strokes per minute, all while holding a tight tolerance of +-.002". The final product had a .200" radius and measured .850" high, .178" wide, and .040" thick. After inspection and testing, we delivered 500,000 to 1,000,000 of the .0065 lb parts to our customer's Bowling Green, Ohio location annually. For more information about this project, see the details below. To learn about our other services, contact Superfine today.